The two bladed DS captivates with its compact and solid construction; the blades are raised on both sides. It is characterized by a particularly progressive snow clearing. Perfect for tractors and multi-equipment carriers. 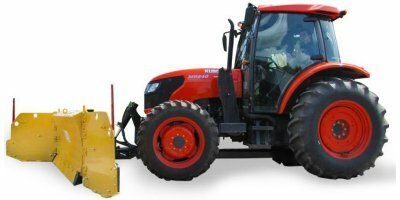 The 35 series blade offers heavy duty performance for your 35 hp tractor. Any landscaping job, from ditching to snow removal can be handled with ease by this tough blade. Used in the arable, forestry and construction sectors; suitable for repairing paths, channelling water and boundaries of arable fields. 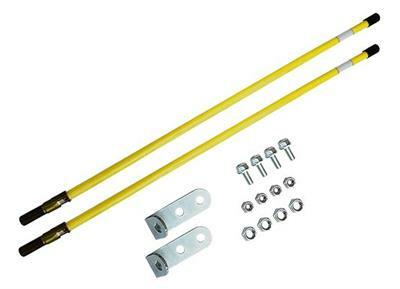 Also used to remove snow from forest paths and areas which snowploughs cannot reach easily. By TerraKing, Inc. based in Lancaster, PENNSYLVANIA (USA). By B&H Manufacturing, Inc. based in Jackson, MINNESOTA (USA). The snow plough is easily attached to the front of the bucket. Ideal for removing snow from pathways etc, use on farms for the removal of slurry and it can even be used for grading. 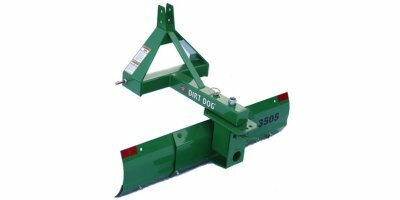 The blade can be raised for maneuvering and angled to remove the snow in the desired direction. By Muck Truck UK Ltd. based in Launceston, UNITED KINGDOM. By Sabatino S.R.L. based in Borgo Vercelli, ITALY. The series SL 1 and SL 2 include single blade snow ploughs in a lightweight construction for communal use – suitable for narrow-gauge, municipal and special vehicles as well as small and medium-sized tractors. The G22 has a split plough blade and is designed with high performance, ease of operation and safety in mind. Its high snow clearance capacity makes it particularly suited for tractors with engine outputs of up to around 60 kW, municipal service vehicles, implement carriers and light trucks as well as wheel loaders weighing up to around 5 tons. Type: Frontal hinged. Category of tractor: 1,4;2. Maximum width, mm, no more: straight spade: 2 500, turning angle, 30о: 2 100. Overall dimensions of the snow-plough equipment, mm, no more: length: 1 900, width: 2 500, height: 1 350. Weight, kg, no more: 420. Working speed, km/h, no more: 12. Transport speed, km/h, no more: 30.